With the video for his new single "Love Has Found Its Way" currently in rotation on a number of local and international reggae based TV shows, British based recording artist Junior Roots has now officially released the single on the iTunes online music store for purchase. 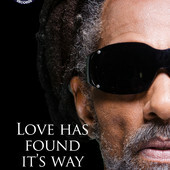 Roots who is looking to build a solid reggae fan base made the recent move with the support of his management team at Music Gallery Recordswho is confident the single "Love Has Found Its Way" can be a hot selling thanks impart to the success of the original version which was recorded and released by the late veteran Dennis Brown back in 1982. Widely known in the U.K market for his 1981 chart topping single "Natty Dread Time", Junior Roots is gearing up to release his new album next year and as such has been working on new tracks at the Gold Mind Production studios situated in Birmingham.